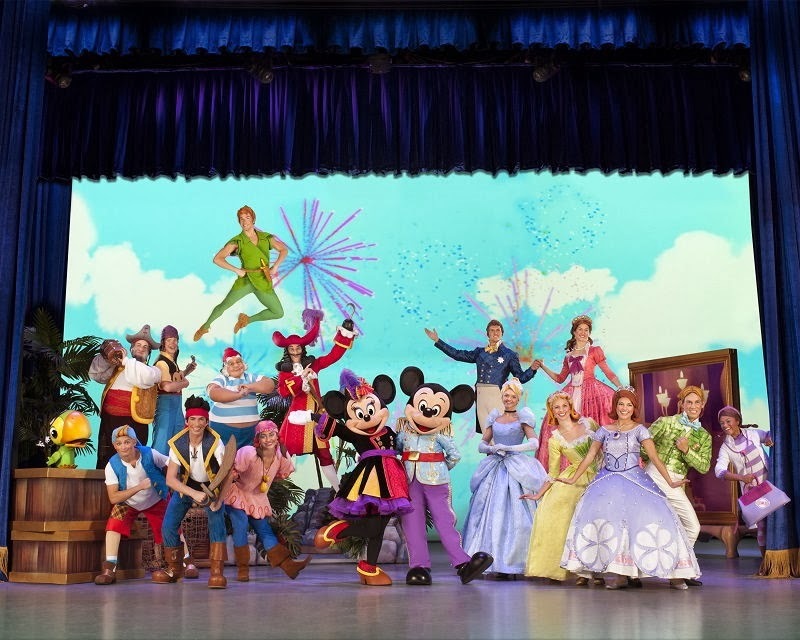 MELBOURNE, Florida – Feld Entertainment, Inc., producers of Disney On Ice and Disney Live!, is taking top performing cable TV series for preschoolers to the stage in Disney Junior Live On Tour! Pirate and Princess Adventure. Featuring characters from the smash hits Sofia the First and Jake and the Never Land Pirates, this brand new production will be live at the King Center for two performances on Friday, March 7 at 3:30pm and 6:30pm. Tickets to see Disney Junior Live On Tour! Pirate and Princess Adventure start as low as $16.00, plus applicable fees, and are available at www.kingcenter.com, the King Center ticket office, or charge by phone at 321-242-2219. Ticket office hours are Monday – Friday, Noon – 6 pm and Saturday, Noon – 4pm. In this original storyline, Mickey and Minnie lead the audience on an exciting adventure that will have families rooting for their favorite pirate Jake and Disney's first little girl princess Sofia. Disney Junior Live On Tour! Pirate and Princess Adventure begins with a special interactive pre-show featuring the loveable 6-year-old doctor to toys and stuffed animals, Doc McStuffins. Children and their parents will sing “The Check-Up Song” along with Doc as she provides tender love and care. Audiences will then embark on a journey to the magical world of Enchancia, where Sofia, her step- siblings Amber and James, and the entire kingdom are preparing for the annual friendship festival. Sofia has the honor of delivering the perfect gift to her royal subjects at the celebration, and the one-and-only Cinderella visits the castle to help Sofia in her mission to find just the right present. The excitement continues when families cast away to Never Land where Jake and his Yo Ho pirate friends Izzy and Cubby are in a race against time to locate a mysterious treasure- filled volcano. Danger, thrills and adventure lurk around every turn when our swashbuckling friends battle Captain Hook for the ultimate prize. Peter Pan makes a special appearance, aiding the team in their heroic quest, and with the help of Tinker Bell’s pixie dust, Jake and his crew fly above the stage in their journey. Photo Credit: Feld Entertainment, Inc.